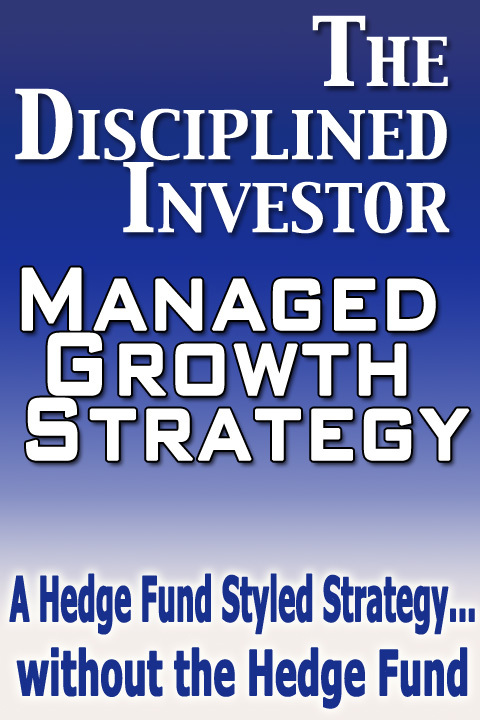 There is a distinct feeling that most are banking on the idea that nothing will fail No matter how poorly run, the amount of debt, the rating of the debt, or even ongoing losses can shake investors. Call it the moral hazard that Bernanke and Obama have created or call it the current reality. No matter, there is a definitive view that appears to have emerged with investors that 2008 was a one time (aka Black Swan) event that has faded as a distant memory. Of course that thesis is tested on any day that markets dip as we see volume expand well above the days with upward action. What does that tell us? Nothing really, unless volume matters in the equation. Now is does not, but one day it surely will and that needs to be monitored. Gold looks prime to rip higher as inflation concerns emerge and oil bulls are having a real party, even as oil fundamentals do not match the current price levels. Watch to see reaction to earnings this week. Either one of two things are going to happen…Markets got way ahead of themselves in advance of this season and disappointment will be felt hard, or we have a clean ride to 1,250 for the S&P 500. 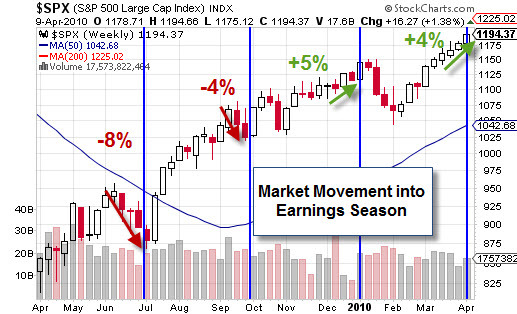 Click HERE for chart of Earnings Season Trends, or scroll to bottom.